I couldn’t believe that someone had sent this mechanical bird over our heads to spy on us! What a nerve!… A second later, the Villa’s owner, Marquess Cerrina Feroni, appeared from around a tree, accompanied by a young man holding something in his hands. They were looking up at the flying contraption. I quickly tumbled to it. – Hello Katharina! said the Marquess jocundly. We are shooting a bird’s eye spectacular of the estate! – Oh… what a great idea! You can view this grand video here above. Nice, isn’t it? Classified as a national heritage site by the Italian State, the Villa Gioli is not only a beautiful domain, it also boasts a unique historical past. A century ago, in summertime, academics, aristocrats and naval officers from Pisa and Leghorn used to retreat to their country residences on the gentle hillsides of the hinterland. The Villa Gioli was one of these habitations. It had first been built as a hunting lodge in the 18th century. It acquired its present style and dimensions in the second half of the 19th century, when the brothers Luigi and Francesco Gioli, both painters and descendants of a wealthy Pisan family enamoured of the arts, added the rectangular tower to the original structure. This was the golden era of the Italian impressionists, locally known as the Macchiaioli, a name derived from macchia, meaning “stain” in Italian, but also referring to the typical brushstroke of the impressionistic style. Highly controversial at the time, the vigorous Macchiaioli movement embraced many of the leading painters of the day, some of whom had studied in Paris. The Macchiaioli broke with academic traditions by venturing into nature, outside the confines of their studios, and seeking new frontiers. They also felt the need to meet, exchange ideas and inspire one another. Discerning and cultivated, Matilde Bartolommei Gioli, wife of one of the two above-mentioned Gioli brothers, flung wide the doors of the Villa to these pioneering artists as well as to the writers and intellectuals of the time – Fattori, Lega, Signorini, Kienerk and Cecconi, to name just a few. The members of Marquess Cerrina Feroni’s family are direct descendants of the Gioli brothers. They have spared no effort to preserve the spirit of the past and the soul of the arts. 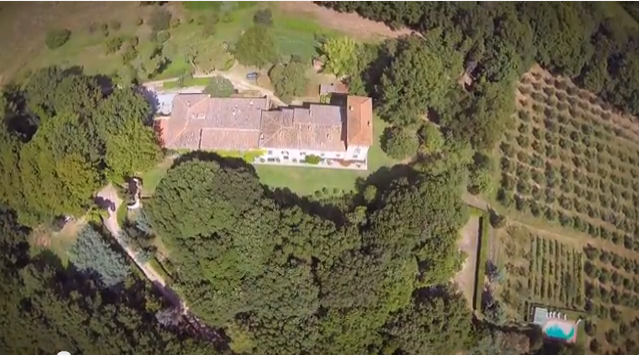 At the Villa Gioli, you will definitely experience the best Tuscany has to offer!